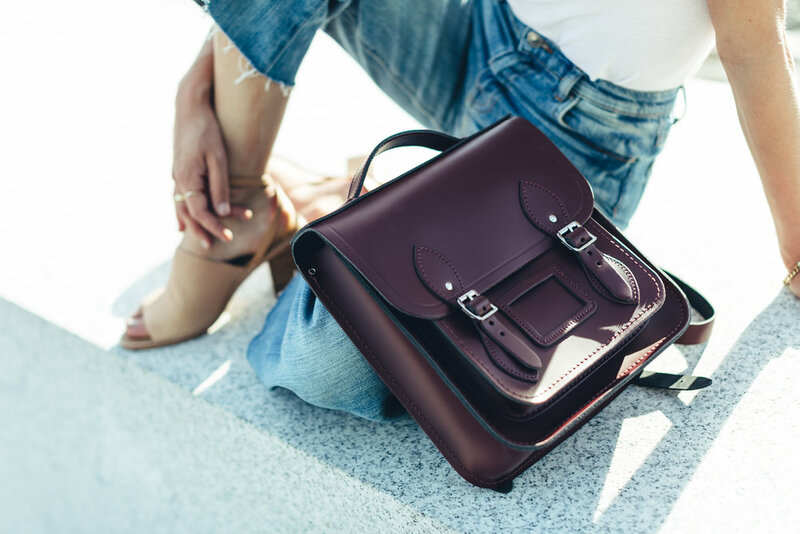 Why I love it: There’s nothing chicer than a structured bag and I love how efficient a backpack can be in terms of size and portability-- especially when you live in a city that requires a lot of running around. 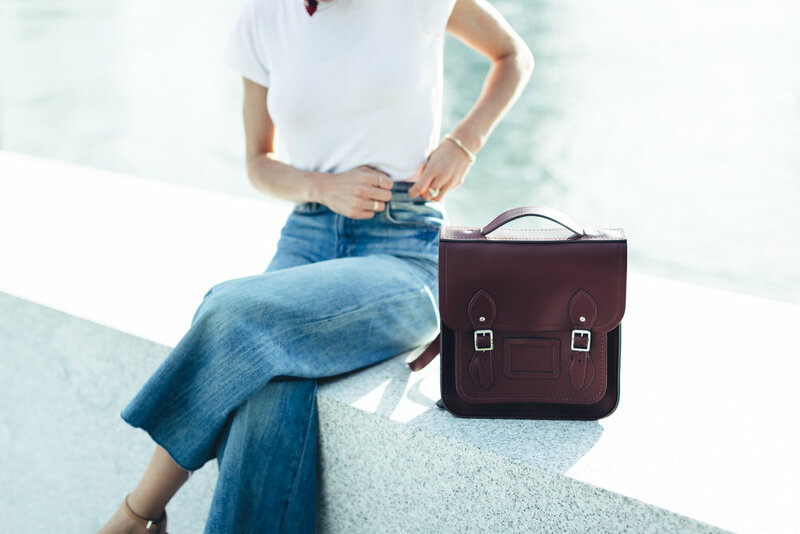 The less hassle the better and this burgundy is the perfect tone to work into your fall wardrobe. The outfit: I like to have certain elements of contrast in most looks I create, so I juxtaposed the boxy backpack with a casual but quintessential white tee. But by rocking a new denim silhouette like the cropped wide leg and a Parisian-influenced neck scarf, I manage to turn simple basics from 0 to 60 in seconds. This look is chic while still super easy/comfy to move around in. The location: We shot this at the park at Roosevelt Island. A tiny island in between Manhattan and Brooklyn, it’s a beautiful spot to take in all the views. The park has some stunning architecture and big lawn that’s great for lounging with friends or having a picnic. If I could sum this look up in three words I’d say: cool, casual, chic. 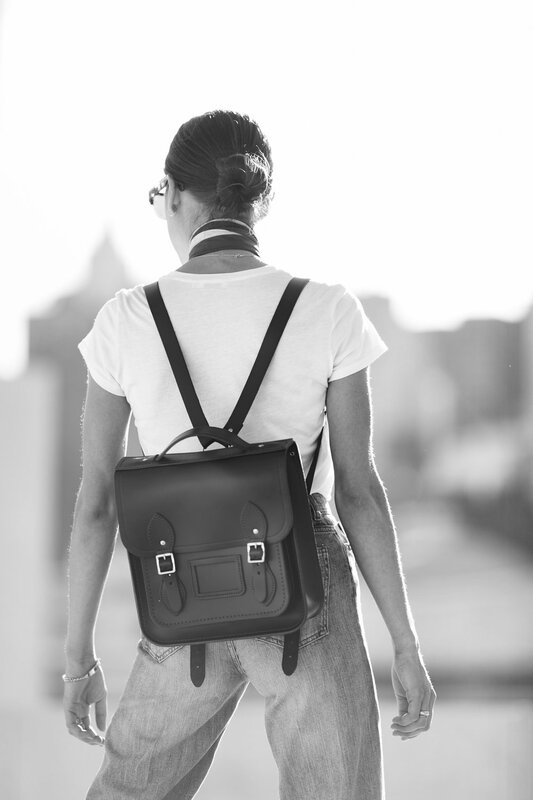 More to come with my collaboration with Cambridge Satchel Company!